If you smell gas, never take any action that could generate a spark on the way out of the building. This includes flipping light switches, plugging and unplugging or using electronics. 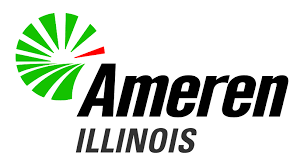 In fact, don’t even call Ameren Illinois until you are clear of your home or workplace. Sparks may cause natural gas to ignite if in the range of 5-15 percent. You also want to avoid opening windows in an effort to vent the area.